Delivering a phenomenal 99 lumens per watt efficiency, Mosso Pro changes light colours from warm to cool and anything in between. An intuitive built-in touchstrip allows for effortless continuous dimming. 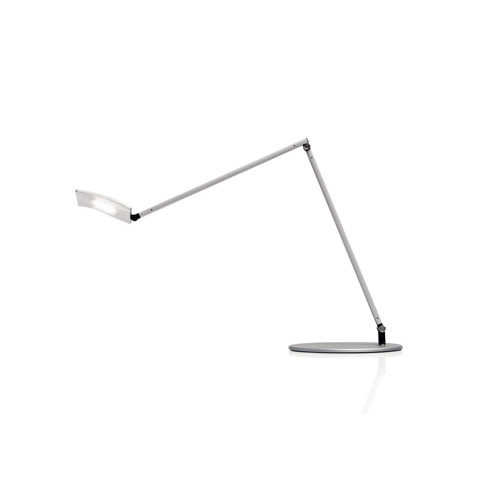 Built-in occupancy sensor ensures no energy is wasted lighting up a vacant desk. For smart phone users, Mosso Pro comes complete with a USB portin the base, or optionally a wireless charging base is available for recharging Qi-compatible mobile devices. Other mounting options include a desk clamp, wall mount, slatwall mount and through table mount. Available in metallic black, white and silver finishes. With Mosso Pro, anything is possible.